The workshops listed below are available as stand-alone weekends, retreats, master classes, sections of Yoga Teacher Trainings, or as an ongoing, monthly series. They can be adapted for the needs of your studio, church, Y, or student population. In addition, any of the Empower Practice Themes can be taught as Master Classes or stand alone workshops. Please contact me for details and arrangements. 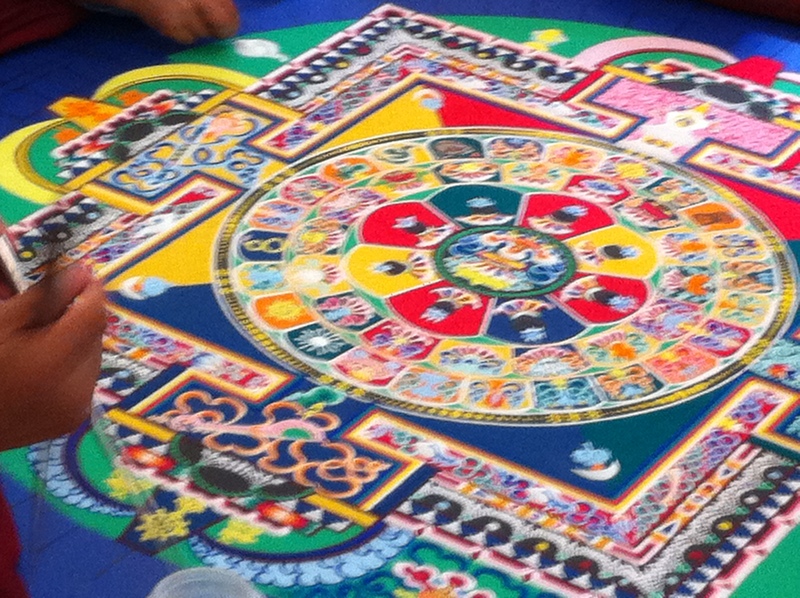 A Mandala is a sacred symbol of wholeness. Creating mandalas is a powerful and fun way to explore the depth of what you are experiencing, moving through or wanting to offer the world. This workshop or retreat will offer an introduction to mandalas, their place in the Christian tradition and serve as a bridge to the practice of yoga both on and off the mat. Includes elements of lecture, hands on activity, and asana. As with all of the workshops above, the asana can be adapted to serve the levels and interests of the group. With so many yoga poses, so many styles of practice and all those classroom instructions (or lack thereof) it is easy to feel like a perpetual novice. This workshop series focuses on a simple, effective and harmonious set of actions that work with the body’s optimal, natural design and that can be applied to any yoga pose or yoga style. Students will feel safe, conﬁdent and supported in their practice. This workshop series focuses on physical alignment as a means to care for the body, mind and spirit. While Ayurveda is focused so sweetly on the body, at its core, this science of Life is about bringing the sacred into each moment. Ayurveda – the ancient Indian medical system studying the science of Life – offers a rich way to engage with the elements of the natural world and care for the body on every level. This dynamic workshop will cover an introduction to the mahabhutas (5 great elements), an overview of doshic theory (personal constitutions: vata, pitta, kapha), daily practices for harmony and wellbeing, and asana to pull it all together. Through asana as a moving dialogue with the koshas we isolate aspects of the Self and allow for a more expansive perspective; to see the drawer of our Self and all it contains bringing a level of clarity and maturity that empowers choice.